After completing our full review of Bet On Aces, we have come to the conclusion that the casinos cannot be recommended. Please choose a casino from our elaborate list of tested and vetted new Netent casinos. Are you on the lookout for a comprehensive gaming hangout that brings you casino, sports betting, poker and live casino excitement on a single site? Bet On Aces has the right offering – and it doesn’t stop there, as players can access their VR casino and face live dealers virtually in their room by using VR Oculus devices. You can choose from a huge range of games from over 25 providers including Microgaming, NetEnt and NYX, while the choice of live casino tables is also extensive. Over 30,000 betting markets are available every month for those looking for a bet on their favourite sports event. If you are a poker player, you can select between browser-based and download clients for MacOS and Windows. Please note that the casino is operating on a Curacao license which offers little to no protection for players. At press time, players from the UK were not able to register at this casino. How about 100% bonuses on your first four deposits? Sounds too good to be true? Rest assured it is true, though. As a new player at Bet On Aces, you can indeed look forward to a superb welcome package that includes bonuses worth up to €600 and bonus spins. 1st deposit: 100% welcome bonus, up to €100 and 50 bonus spins on Starburst. 2nd deposit: 100% reload bonus, up to €150. 3rd deposit: 100% reload bonus, up to €150. 4th deposit: 100% reload bonus, up to €300. The be eligible for the deposit bonuses and free spins, you are required to deposit a minimum of €50. You will receive the bonus spins in two batches of 25 spins starting on the day following your first deposit. Winnings from the bonus spins need to be wagered 35x within one day. The wagering requirement for your bonuses is 35x your deposit + bonus within 14 days. You are allowed to use casino bonuses in the casino only, while sports and live casino games are restricted. Unless otherwise stated, any winnings you make from the welcome bonuses are capped to a maximum of €2,000. Winnings that exceed this amount will be removed from your account. 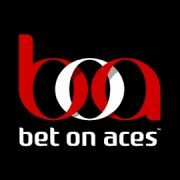 Bet On Aces bonus terms and conditions apply, so make sure you read them carefully. Games contribute differently towards the wagering requirements. The majority of slots count 100%, while table games, live casino games, and a range of slots such as Blood Suckers, Blood Suckers 2™, Dead or Alive, Guns N’ Roses™, and Secret of the Stones are restricted. You can find a detailed list in the bonus terms. You’ll find that the promotions page at Bet On Aces is filled to the brim with extra deals for sports and casino, in addition to daily and weekly tournaments. You are welcome to enjoy the special offers on the days during which they are active, after you have claimed the welcome package. Throughout the week, you can choose from a range of generous reload bonuses as well as additional bonus spins. On top of that, Bet On Aces regularly holds prize draws for exclusive holidays. You can earn tickets to these raffles by depositing at the casino. Are you also a fan of slot races? Then playing at Bet On Aces will see you compete in a variety of daily, weekly and monthly tournaments and races, each with a specific prize pool with cash, bonus money or bonus spins. Are you more into sports and poker? Then you will be just as spoilt with an extensive range of campaigns and offers which are published separately on the promotions page. 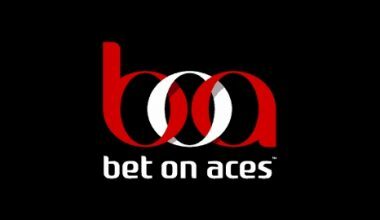 At the time of this review, while there is no loyalty program available as such, Bet On Aces does offer a VIP program that is by invitation only. The admission to this VIP club gives you access to a range of benefits such as higher bonuses with lower wagering requirements, cashback deals, birthday treats, tickets to exclusive events and other gifts. We couldn’t find any further information about the qualification criteria, so we recommend that you contact support for more details. That applies especially when you have VIP status at a different casino or sportsbook. This is one area where the casino site excels. When you join Bet On Aces, you can choose to play games from over 25 providers in the slot section, plus there’s a large range of live casino tables. You will find titles from the most prominent game studios, which include Betsoft, iSoftBet, Microgaming, NetEnt, NYX and Pragmatic Play. These are complemented by a number of smaller but upcoming studios such as PariPlay, Playson, Habanero and GameArt. If you are a live casino enthusiast, you can look forward to a special feature in the VR section. Using Oculus equipment, you can play live casino games in virtual reality settings. The tables are provided by Evolution Gaming and NetEnt Live. A decent range of currency and payments methods will suit the vast majority of players. It also means that deposits and withdrawals will be a breeze. At the time of this review, you have the option to open your account in BRL, CAD, EUR, GBP, NOK, SEK and USD. Please note that you have to choose the currency of your home country if it is available. Payment methods range from e-wallets such as Skrill to bank transfer and instant banking. You’ll also be able to use the most common prepaid, credit and debit cards. 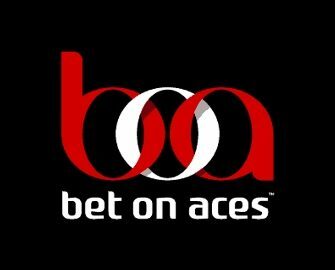 Should you encounter any issues or have questions while playing at Bet On Aces, you’ll be pleased to know that help is at hand via email, on-site message or live chat. The website is currently available in English, Finnish, Norwegian, Portuguese and Swedish. Bet On Aces has a firm policy in place for responsible gambling. Firstly, you can register an account only if you are aged 18 or older. Secondly, you can use a range of options in your account settings to control your gaming. You can set your deposit and loss limits and the session length, as well as take a break or self-exclude from playing at the casino. The crew at Bet On Aces has gone to great lengths to put a comprehensive gaming site together that covers virtually all the needs of gaming and betting enthusiasts. Casino, sports, in-play, poker, VR casino, live casino – the choice is huge. Add to that the 1,000+ slots, and we can see why Bet On Aces could become a player’s favourite gaming hangout were it not for the weak gaming license and negative reports we have found on the web.